If ever there’s a time to get your craft on, it’s Christmas. To help get you in the spirit, we’ve rounded up 10 truly awesome things to make this holiday season. 1. 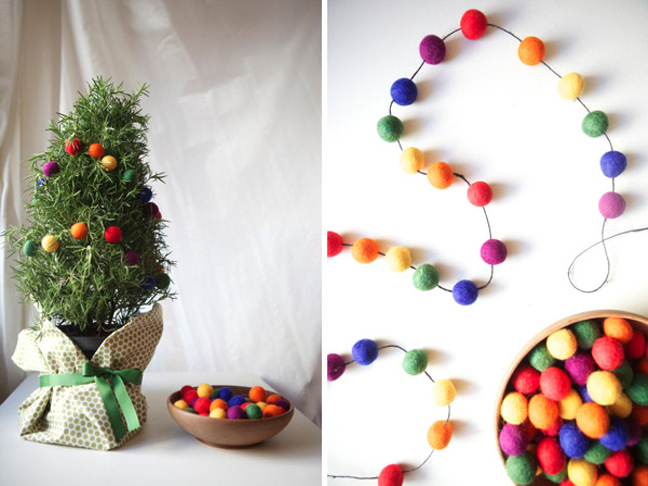 A bright and colorful felt ball garland for the tree, the mantle, or anywhere that could use a little cheer. 2. A classic snow globe. 3. 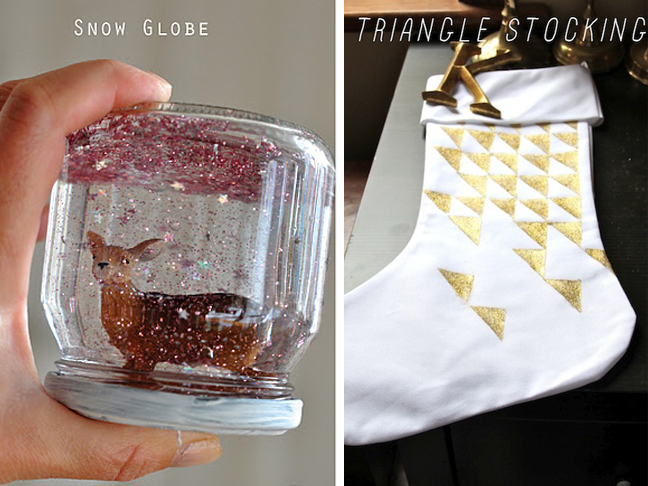 These modern and sparkly DIY Triangle Stockings. 4. 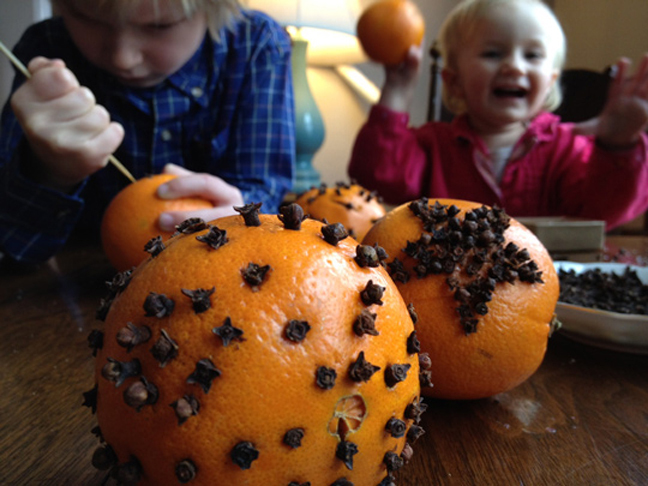 Pomanders: A festive smelling family craft. 5. 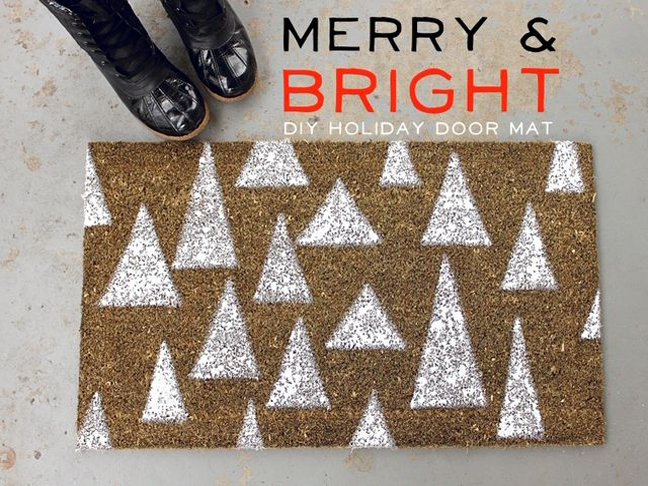 A merry & bright holiday doormat. 6. 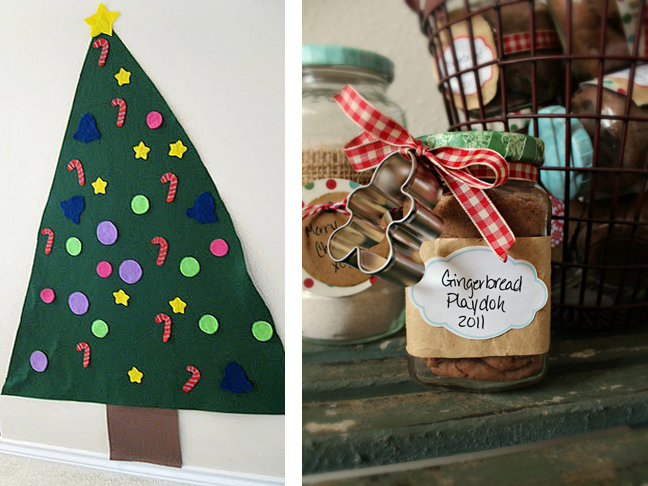 An interactive felt Christmas tree to keep the kids from attacking the real thing. 8. A handmade hot cocoa gift box. 9. 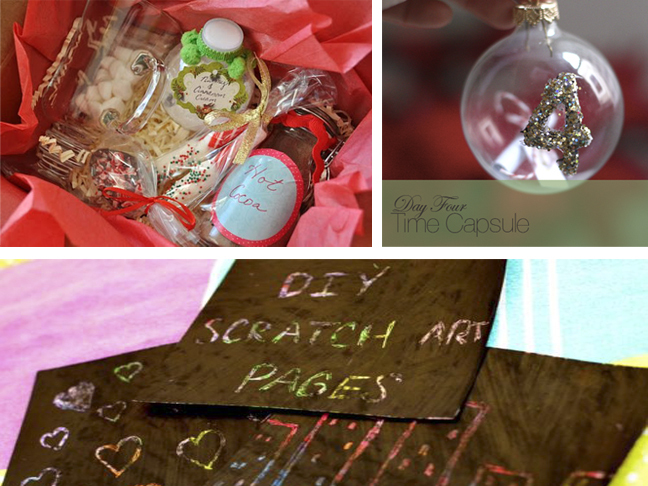 Easy Time Capsule Ornaments for starting a new tradition. 10. Finally, five DIY Stocking stuffers for the kids.